Director James Feeney just released his latest horror short Killer Kart. Killer Kart is produced by Andrew Fairbank. This is a nice twist on the shopping cart laying in wait for revenge. Starring in Killer Kart are Christine Rodriguez, Ray Bouchard, Elly Schaefer and Britt Michael Gordon. Watch the horror short and tell us what you think about it in the comments below. Is CW’s iZombie TV series getting the right amount of traction? CW just released the new poster (3rd poster) for new horror TV series iZombie. The series premieres Tuesday March 17, 2015 at 9:00 pm EST. I am really curious how many of you like what you see so far, please leave a comment on your thoughts. Starring in CW’s iZombie are Rose McIver, Malcolm Goodwin and Rahul Kohli. March 2015 has quite a lineup for VOD releases this month. The full list of March VOD releases include The Burning Dead, Avenged, Faults, Teeth & Blood, It Follows, A Cry From Within, Something Wicked, Backcountry, Spring and Nightlight. The real spotlights here are Spring, It Follows and Backcountry. Tell us if you are going to watch our picks or all of the releases. J.M. 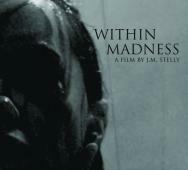 Stelly‘s Within Madness (2015) is about to release on Blu-ray / DVD this upcoming April 7, 2015. 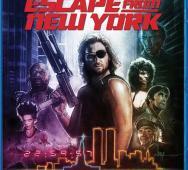 The VOD release has not been confirmed yet but should be soon after. The press release below clears up a lot about the new film. The poster looks very subtle and not scary at all. Starring in Within Madness are Kaci Champion, Keegan Macy and Matt Story. Here is the latest movie still for the new horror movie by co-directors Ben Blaine and Chris Blaine titled Nina Forever (2015). Excuse the image for being graphic in nature but it is the only new movie still. Anyways, the new movie is a horror comedy romance making it’s world premiere on March 14, 2015 at the Alamo Lamar A, 1120 S Lamar Blvd. I am still holding out to see more before I decide if I will watch it. Starring in Nina Forever are Abigail Hardingham, Cian Barry, Fiona O’Shaughnessy, Elizabeth Elvin and David Troughton. 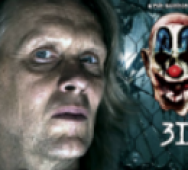 Torsten Voges has been confirmed to star in Rob Zombie‘s 31 (2015) Halloween movie as “Death-Head”. Voges starred in Rob Zombie’s Lords of Salem (2012) as Count Gorgann so they have some experience working together. Production on 31 starts March 2015 sometime and if you are still interested in crowdfunding 31, click the source link below. Starring in 31 are Sheri Moon Zombie and Bari Suzuki. AMC announced a 90 minute season finale episode for AMC’s The Walking Dead Season 5, that sounds awesome. Greg Nicotero directed the season finale but no official title or synopsis has been revealed. 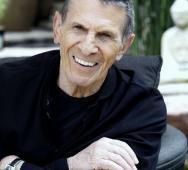 The final episode will air on March 29, 2015. What does 90-minute episodes mean? There was just so much going on that they could not simply chop up the episode without sacrificing story and pace, awesome! Neill Blomkamp confirmed that his movie/story will follow in sequence starting with Alien (1979), Aliens (1986) and then his new Alien film. 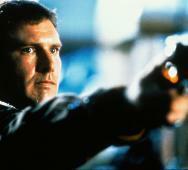 This is what every Alien movie fan has been waiting to hear. 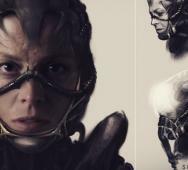 Sigourney Weaver returns and Ridley Scott returns to produce the new movie; all is well in the world again. Tell us what you think in the comments below and don’t forget to share. 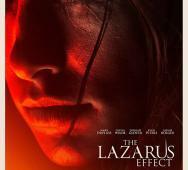 David Gelb‘s The Lazarus Effect (2015) will open in movie theaters tomorrow, Friday February 27, 2015 and I am very excited to see it. I am even more excited that HellHorror.com has been selected to host a giveaway for The Lazarus Effect Prize Pack. The The Lazarus Effect Prize Pack includes a $25 Fandango Gift Card, Branded Hoodie, Branded Flashlight, Branded Syringe Pen and The Lazarus Effect Mini Poster for 1 lucky winner. All you have to do is join our newsletter, that simple. Blumhouse Productions’ The Lazarus Effect stars include Olivia Wilde, Mark Duplass and Evan Peters. David Robert Mitchell‘s It Follows (2014) now has a new poster and it looks like some maniacal evil is hunting an innocent girl, exactly what the film is about. It is portrayed in the poster in a very original manner. 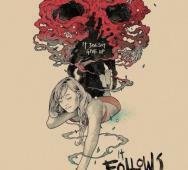 It Follows releases on March 13, 2015 with stars including Maika Monroe, Keir Gilchrist, Jake Weary, Daniel Zovatto and Lili Sepe. 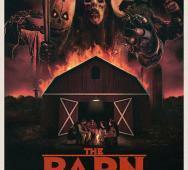 Justin M. Seaman‘s The Barn (2015) now has a poster and trailer attached to the new movie. The trailer and poster scream retro horror movie and it sure is. Tell us what you think of the trailer and poster. The movie releases on October 1, 2015. Starring in The Barn are Mitchell Musolino, Will Stout, Lexi Dripps and Cortland Woodard. 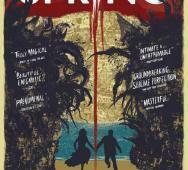 Justin Benson and Aaron Moorhead‘s Spring (2014) releases in movie theaters on March 20, 2015 as well as on VOD same day. This new international poster has a big touch of H.P. Lovecraft to it and I like it even more for that. How stoked are you to see Spring? Starring in Spring are Lou Taylor Pucci, Nadia Hilker and Vanessa Bednar. 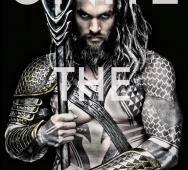 Zack Snyder revealed the first image of what Aquaman played by Jason Momoa will look like. I was really looking forward to the orange and green variant costume. I feel this costume lacks color. We did see the Wonder Woman costume also lacked color. Is this the overall theme that DC Comics is going for… a gritty Justice League? Aquaman will make his appearance in Batman v Superman: Dawn of Justice (2016) on March 25, 2016. Aquaman will get his own feature film in 2018 which is a long time to wait. Starring in Batman v Superman: Dawn of Justice are Ben Affleck, Henry Cavill, Gal Gadot, Jesse Eisenberg, Amy Adams, Laurence Fishburne, Jason Momoa, Holly Hunter, Callan Mulvey, Tao Okamoto, Scoot McNairy and Jeremy Irons off a screenplay by my favorite David S. Goyer. Justice League Part 1 will release in 2017 while Justice League Part 2 will come after the Aquaman feature film in 2019. This is most likely tying into a huge storyline so I cannot wait to get a taste of the massive storyline. New video on demand service “Stan” out of Australia has secured the rights to create a Wolf Creek mini-series. 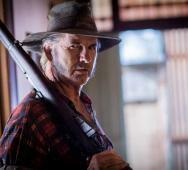 John Jarratt will return as Mick Taylor and the mini-series will pick up right after the events of Wolf Creek 2 (2014). 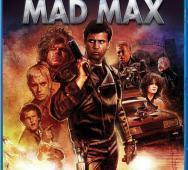 To make matters even better, writer/director Greg McLean will oversee the mini-series in order to make sure everything stays close to the source material. Providing that the Wolf Creek TV series gets the “thumbs up,” production will start at the end of 2015. This is the very early scoop on the Wolf Creek news so expect to see more as the weeks progress. About time someone (Halloween Costumes) created an updated infographic on the Resident Evil chronology/timeline with the added bonus of listing out the playable characters for each game. This is just in time for the release of the Resident Evil Revelations 2 mid season release of episode 2 on February 25, 2015. Episode 3 releases this upcoming March 4, 2015. 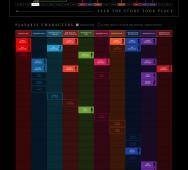 This infographic brought back some great memories from the Resident Evil game franchise.